So, you know how I said I was going to add this later in the day on Monday?! Well, the youngest has had a terrible time with his Asthma….two more dr appts this week and now we are up to 6 meds for his Asthma. Stressful!! That being said, I’ve decided to try not to make promises on this blog because I’m a mom of 7 and life is unpredictable. I’m hoping to get back to a regularly scheduled blog very soon. 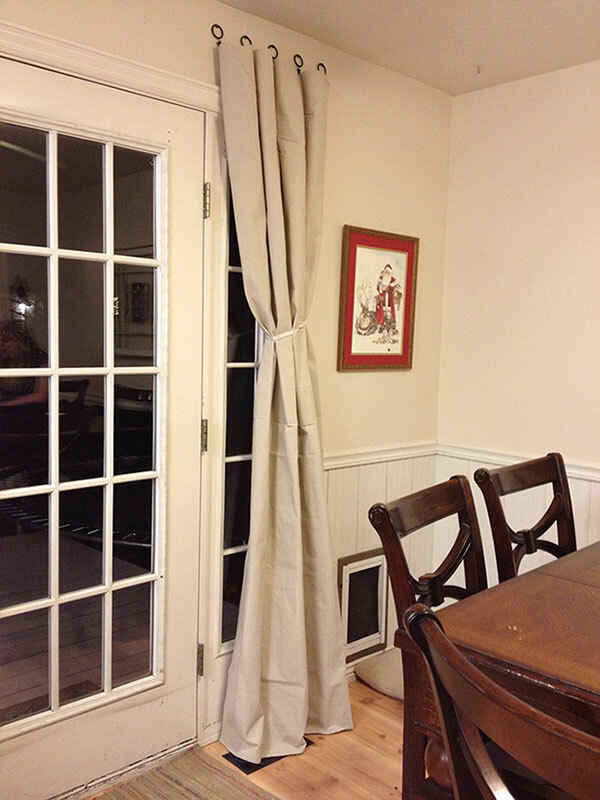 Now, onto my project…..I’ve loved drop cloth curtains for so long and couldn’t wait to try it. I wasn’t sure how I’d like the stiffness of the cloth but I really do like it. It stays in place. As you can see I didn’t wash or iron this cloth, lazy, I’m just not that kind of girl. ha! This was one of the easiest projects ever! I bought a 4’x15′ drop cloth, cut it in half and hung it from clips. I think it took a whole 20 minutes…I love fast projects! Awesome! I ran right out and bought some for myself! Now I’m finding all sorts of uses for my drop cloth!! I’ll make sure to bookmark it and return to read more of your useful info. Thanks for the post. I will certainly comeback.